Following last week’s removal by the California State Assembly Committee on Governmental Organization (GO) of a consensus-building online-poker bill from consideration during a committee session on California gambling matters, the California Nations Indian Gaming Association (CNIGA) has issued a statement reflecting the organization’s disappointment that bill sponsor and GO Committee chair Adam Gray was forced to remove the poker bill from last week’s hearing agenda. CNIGA’s chairman, Steve Stallings, also expressed his displeasure at the way another bill, this one dealing with fantasy sports, was allowed to leap-frog the poker bill amid the committee’s heirarchy of taking action on poker bills. CNIGA’s complete statement on this is reproduced below. CNIGA is one of, if not the, largest California tribal gaming coalitions in the state. Comprised of 32 members, 23 of which operate land-based casinos, the group as a whole favors the compromise legislation still theoretically under consideration in the state. The group includes such politically powerful tribes such as the Morongo and San Manuel, both of whom have signed deals with PokerStars parent Amaya Gaming in the event online poker is ever regulated in California. However, despite CNIGA’s support and that of many of the other state’s tribal nations, the compromise bills continue to be blocked by the hardline Pechanga-led coalition of nine or so tribes to the detriment of all of poker-playing California. Steve Stallings, chairman of the California Nations Indian Gaming Association (CNIGA), disappointed that Representative Adam Gray, chairman of the California Assembly Governmental Organization Committee, did not use the January 6 hearing to take the next step in legalizing and regulating online poker in the state. “We realize there are two other bills dealing with sports betting (AB 1441) and daily fantasy sports (DFS) (AB 1437) sharing the agenda with the I-Poker bill, AB 167. Introduced by Representative Reginald Jones-Sawyer, AB 167 represents one of the last in a series of I-Poker bills, which, unlike AB 1441 and AB 1437, were thoroughly vetted, debated, altered, massaged, and continually passed over with the hope of a political miracle of consensus in the next year,” stated Stallings. Stallings believes the fantasy sports media blitz, followed by an impressive barrage of media coverage of the data leak and charges of insider abuses that led to federal investigations, lawsuits and costly legal challenges, prompted more political interest in protecting California’s sports fantasy players than the state’s online poker fans that are regularly victimized without such high-profile notoriety. “There have been long standing divisions among the stakeholders, including tribal governments, some of which are members of CNIGA. However, I believe, the Jones-Sawyer bill opens the door to compromises that can finally bring the majority together. We were excruciatingly close last year, and I would like to see CNIGA play a major role in helping to unify the Indian tribes on the key issues that previously divided us and take the lead in supporting a partner bill in the state Senate. “This is a wise and practical approach. Plus, he can meet this goal by passing I-Poker legislation this year. The goal is reasonable. The Legislature knows the demand is there. They know the play is happening. They also know California online poker players are currently sitting ducks, vulnerable to all manner of schemes to steal their money,” Stallings noted. “The computer age is here and so is internet gambling, along with its opportunities and dangers. To continue to do nothing exposes the state’s citizens to the type of criminal and backroom activities reminiscent of the prohibition of alcohol in the 1920-’30s. We all know how well that worked. “Our state needs to join the digital age and meet its responsibilities to make I-Poker safe for those who wish to play it (and are forced to play it illegally, subject to fraudulent off-shore betting sites), and begin to turn some of the ill-gotten gains from the illegal operations into benefits for the state’s tax payers.” Stallings added. Stallings said that I-Poker, as the first to frame the debate and address the complex issues of online gaming, should not only be first on the committee’s agenda, but one of the first pieces of legislation passed in 2016. Among the challenges facing AB 1437 and AB 1441, both introduced by Representative Gray, Stallings sees major issues of legality, increased funding and structural re-thinking of California’s applicable regulatory agencies. “Legalizing fantasy sports also faces potential obstacles with an expected weigh in by the state’s Attorney General on whether to join other attorneys general, like the New York attorney general, whose ruling of the games as illegal closed down fantasy sports operations in that state,” he adds. 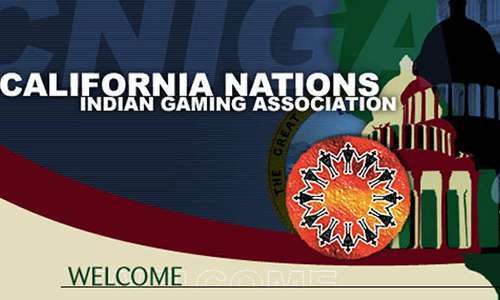 CNIGA is the largest association of Indian gaming interests in California. According to Stallings CNIGA will be discussing and closely monitoring AB 1437 and AB 1441, as well as working to find a mutually beneficial consensus among stakeholders on I-Poker legislation.